A group of amazing young musicians will perform with Sir Bryn Terfel at his first performance in the Theatr Bryn Terfel, Pontio including harpist Glain Dafydd. 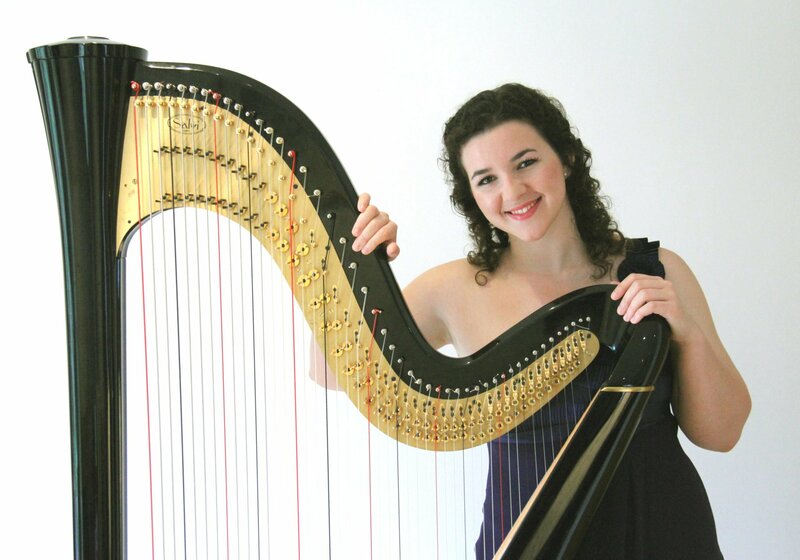 Glain Dafydd’s music career includes success in competitions such as the Moscow International Harp Competition (junior category), and being a string finalist in both the BBC Young Musician and the prestigious Royal Over-Seas League competitions. Closer to home, she won the under 16s and under 21s at Caernarfon International Harp Festival then came third at Arpa Viva in Cardiff. Glain has won all three of the Blue Ribbons at the National Eisteddfod and the Urdd Bryn Terfel Scholarship. In November 2016 she was awarded the “City of Szeged Prize” at the Szeged International Harp Competition, Hungary. Glain finished her studies at the École Normale de Musique de Paris in 2015 and later gained a Master of Arts at the Royal Academy of Music, graduating with distinction. As a soloist Glain has performed in venues such as the Royal Festival Hall, St David’s Cathedral, Cranleigh Arts Centre, Foundling Museum, British Embassy in Paris and the British Museum. She has also performed at the Fishguard International Music Festival, Three Choirs Festival, Gloucester (flute and harp duo) and MusicFest, Aberystwyth. Together with harpist Zita Silva, they have created the “Strings Attached” harp duo. They have performed at the Holywell Venue, London and Wigmore Hall, and were invited to perform at the Royal Academy of Music open day in October 2017. As well as performing as a soloist, Glain has played with larger ensembles and orchestras such as Sinfonia Cymru, Royal Orchestral Society, Ulysees Symphony Orchestra, RAM Opera Orchestra, RAM Symphony Orchestra, Fulham Opera Orchestra and many more. She has appeared as a guest soloist with the European Union Chamber Orchestra playing the Mozart Flute and Harp Concerto and has performed a number of times on radio and television. She toured the US as a guest soloist with the Penrhyn Male Voice choir, performing in Vermont, Columbus, Washington and Glens Falls, later performing with the choir at one of the first concerts at Pontio. She currently works with “Live Music Now” and is a free-lance musician in London.